← Where to Celebrate Easter in Dubai 2019? So your wedding is coming up which means you must have a lot on your plate at the moment. Is your wedding dress ready? Have you booked the caterers? What about the band? Have you picked out the cake yet? We know a million questions must be running in your mind right now. But there is something else equally important that you need to plan efficiently. Yes, the Wedding souvenirs for your guests. After all, they need to receive wedding favors for making it all the way to your big day. Check out our amazing 10 Wedding souvenir ideas that your guests would totally adore. Flowers can be used in more than one way during weddings. 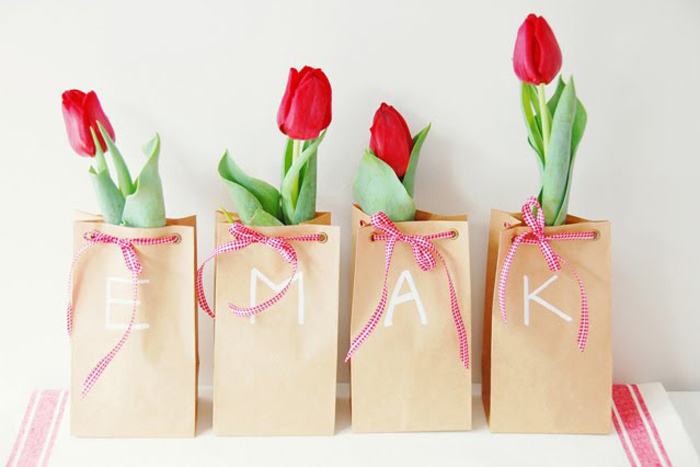 One of the best ways to embrace them in your wedding is to give them as wedding favors to all your guests. Give your guests a single stem of rose or peony along with a small note that says- Thank you for honoring our big day with your presence. All the guests would highly appreciate this sweet gesture and shower their love and blessings upon you. Want to add some more sweetness to your special day? Well, we’ve got a perfect idea for you. 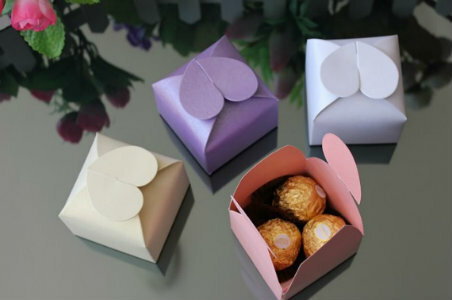 Pack small gift boxes with flavored chocolates to offer your guests as wedding giveaways. If you want and the budget is not a constraint, then you can also personalize the chocolate covers to make them special. It would definitely be a huge hit for guests with a sweet tooth. Your hunt for perfect wedding souvenir ends at scented candles. They are easy to grab, smells wonderful, and available in different flavors that you can choose according to your guest’s preferences. These scented candles placed in votive candle holders can also be used as home décor items. Packed beautifully in small glass jars, they would make a delightful gift to thank your friends and loved ones for blessing your special occasion with their presence. 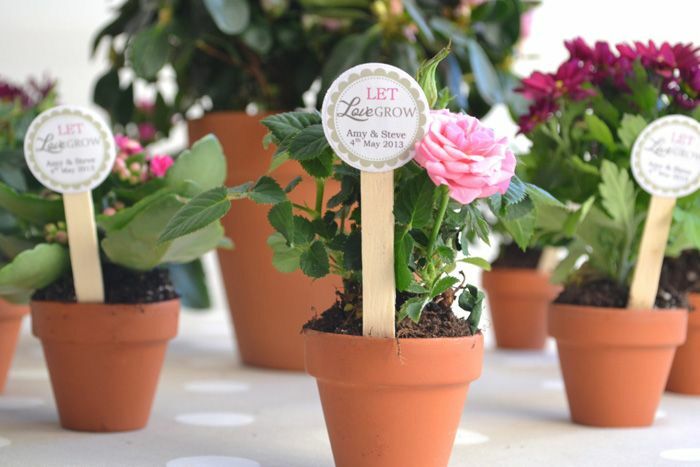 Go eco-friendly and gift potted plants to your guests as wedding favors. It will promote the concept of green gifting and give you a chance to offer something thoughtful to your guests that will grow over time with their love and care. The green plants will create positive vibes at their home, clean the air, and make lovely home décor items. Are you obsessed with tea? Or let me put it this way. Are you in love with the way tea smells and tastes? Well, then make your guests fall in love with tea as well and gift them your favorite tea leaves packed in a tube. 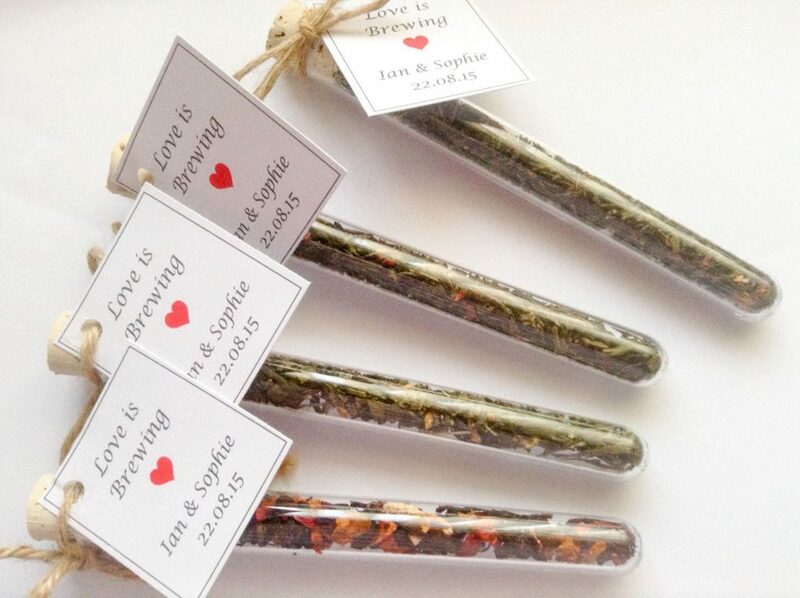 A perfect wedding giveaway for a hot and steamy post-wedding cup of tea to help your guests relax and rejuvenate. 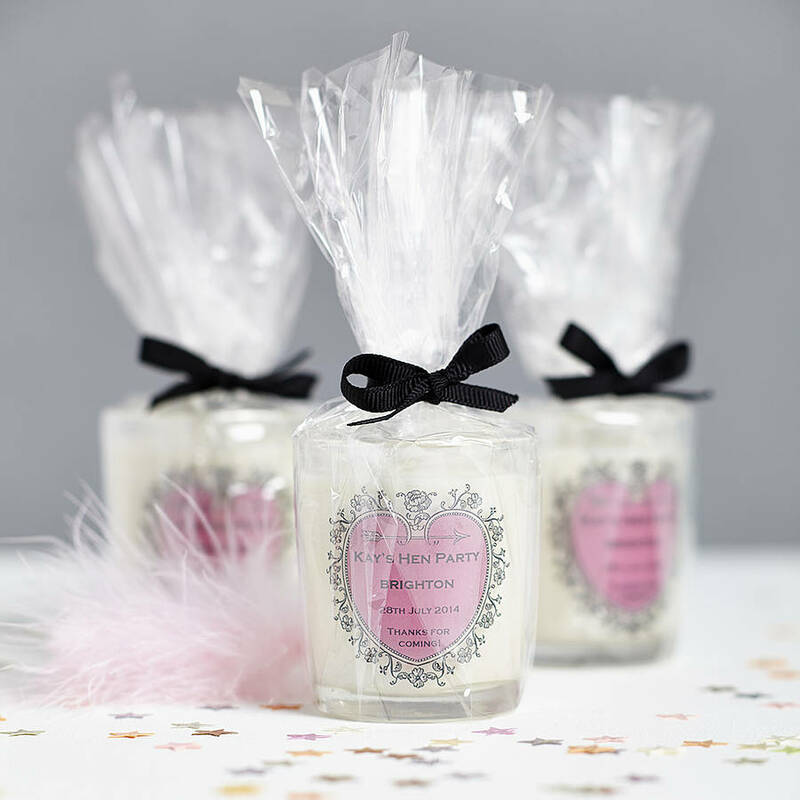 You can also tie a personalised label on the lid of the tube to make the gift extra special. 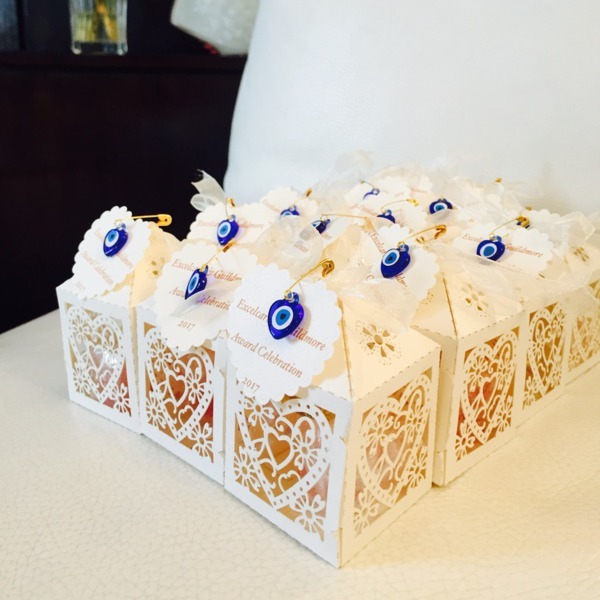 Known to ward off bad luck and evil spirits, the evil eye will add a nice touch to your wedding and make an excellent wedding favor for your guests. The evil eye can be offered in the form of key rings or bracelets. A fan-tastic wedding favor to offer your guests at an outdoor wedding. 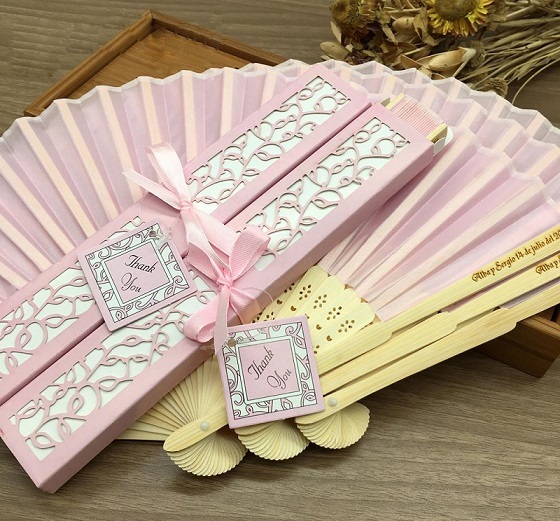 The colorful and beautiful fans will keep them cool in the hot weather and stay with them as a sweet memory of your special day. 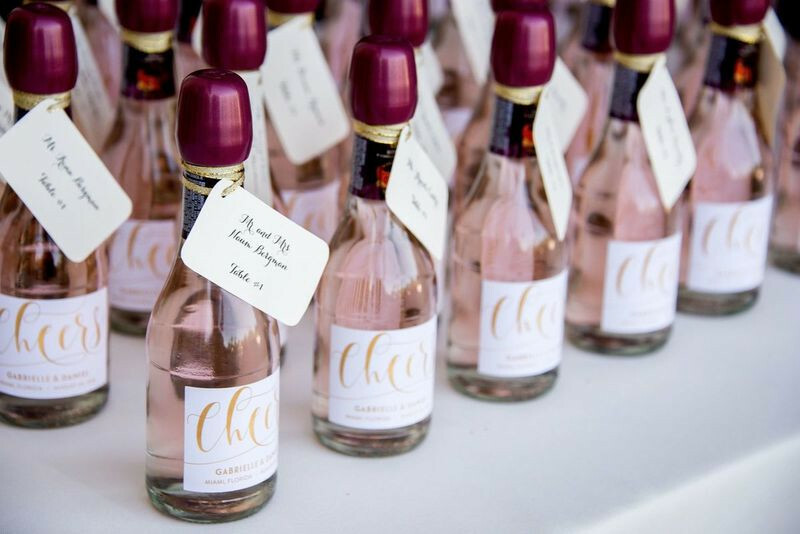 The mini champagne bottles labeled with the name and date of your wedding will make adorable wedding favors for your guests. It will add a unique touch to your special day that your guests can enjoy at the wedding or take home as a memory. 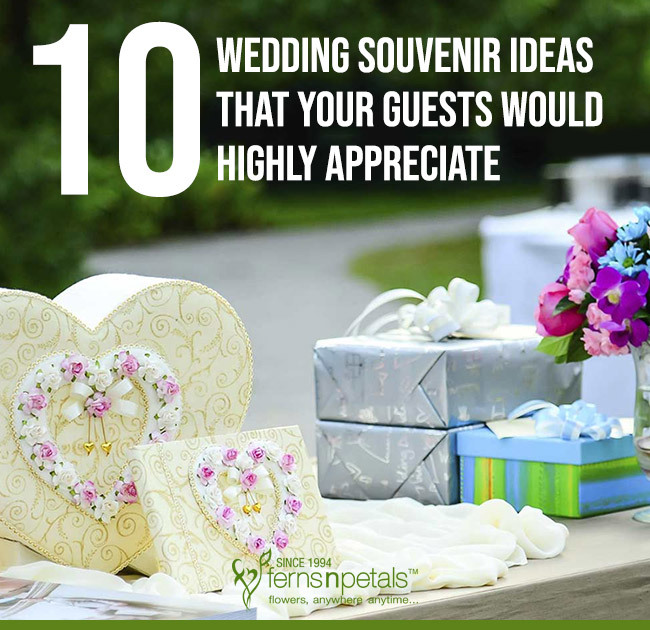 Are you in search of a memorable favor to give your guests at your wedding? 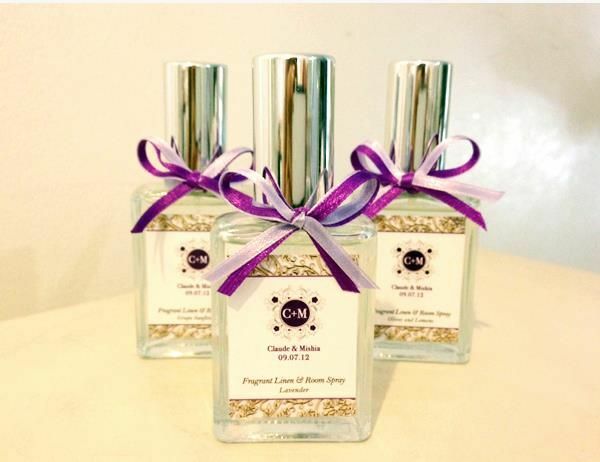 The perfumes coordinated with your wedding theme available in customized bottles are something that your guests will adore and treasure as a memory of your big day. Vintage hand mirrors are the perfect pick for wedding favors. They are affordable, useful, and best suited for the joyous occasion of a wedding, which can be gifted to guests or bridesmaids. 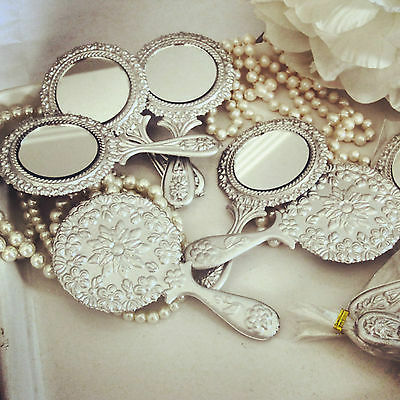 The vintage hand mirrors look absolutely gorgeous that will add a more royal look to the wedding function. With these wedding giveaways, your guests will take away sweet memories of your big day that will stay with them forever.